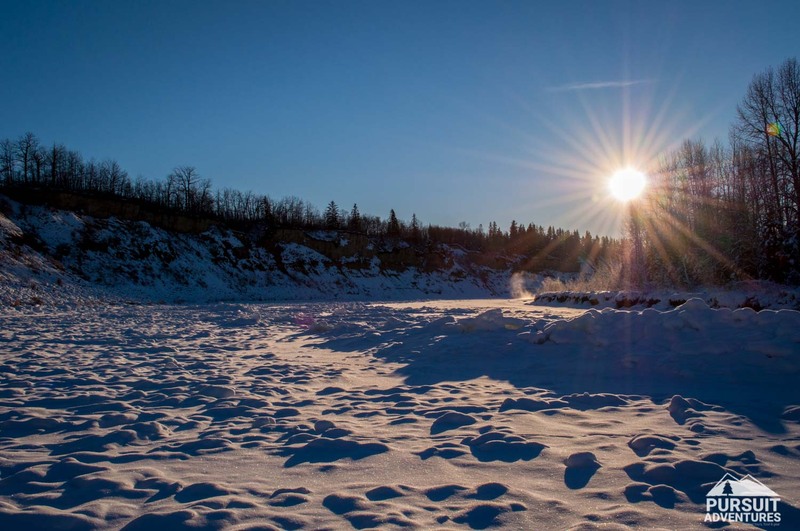 Winter makes catching breathtaking sunrises easy with lots of bluedbird days and no need to wake up at crazy hours. 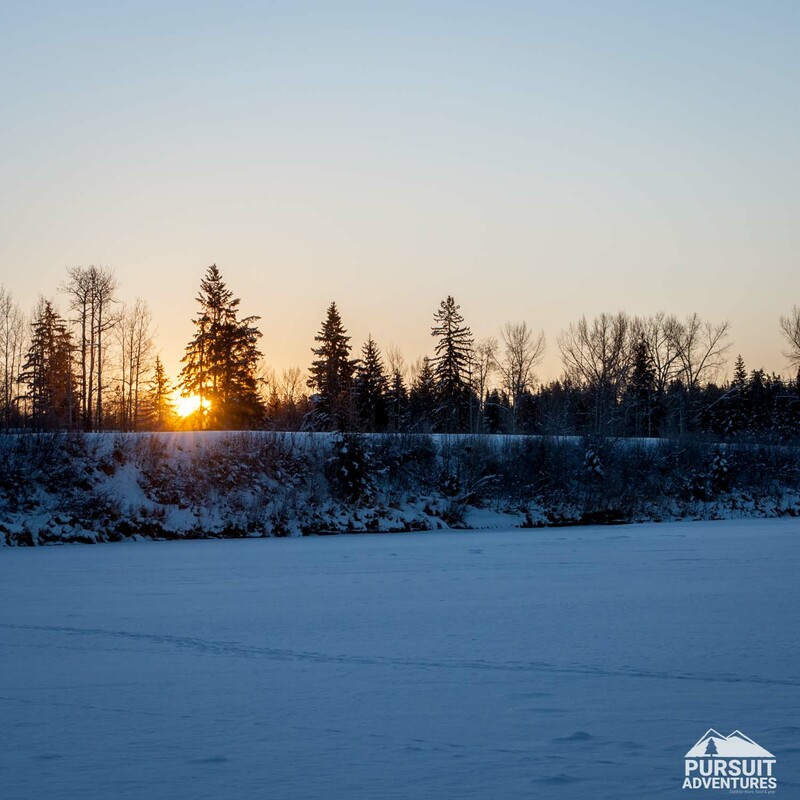 Heritage Ranch has some great options for those wanting to catch the sun coming up over the river valley. Heading out on the trails just before the sun is set to rise will give you a glimpse of it before you head down to the lower grounds, giving you plenty of time to setup for pictures along the river. 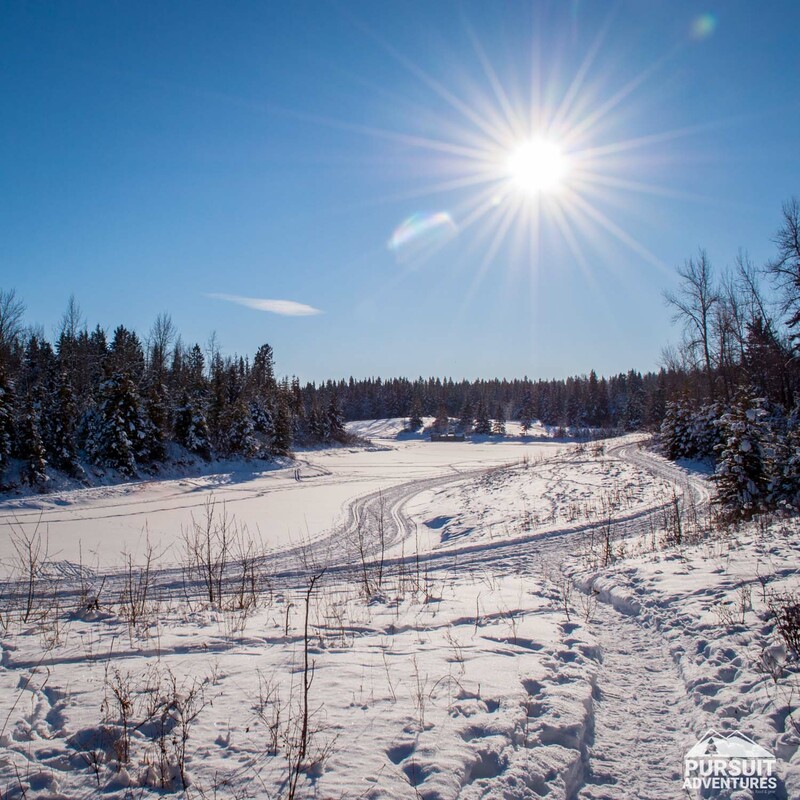 There are many great trails within the Waskasoo Parks in Red Deer and this loop is our usual route for the Sunrise Snowshoe Tours. If you’re looking for a longer outing you can easily explore the many side trails you’ll encounter along the way. 0.6 km | Take the trail down the hill at the junction. 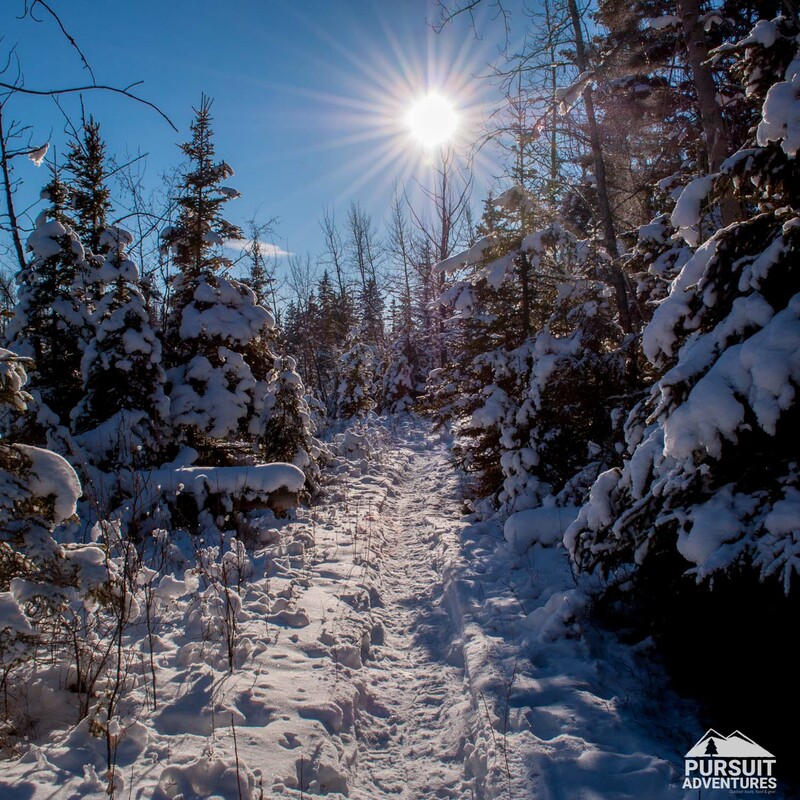 0.7 km | Walk past the trails on the right into a clearing and turn left to toward a cutline. 0.9 km | Turn right on the multi-purpose trail. 1.0 km | Turn left on the multi-purpose trail. 1.1 km | Follow the trail on your right to the boat launch. This is a great spot to watch the sunrise. 1.2 km | Follow the trail into the forest on your right. 1.5 km | At the bridge, stay on the forest trail on your right. 2.2 km | Turn right to access the river. Another great spot as the sun rises over the steeper river banks. 2.3 km | Follow the trail around the pond, going left onto the carriage road. 2.4 km | After the washrooms, follow the trail into the forest on your right. 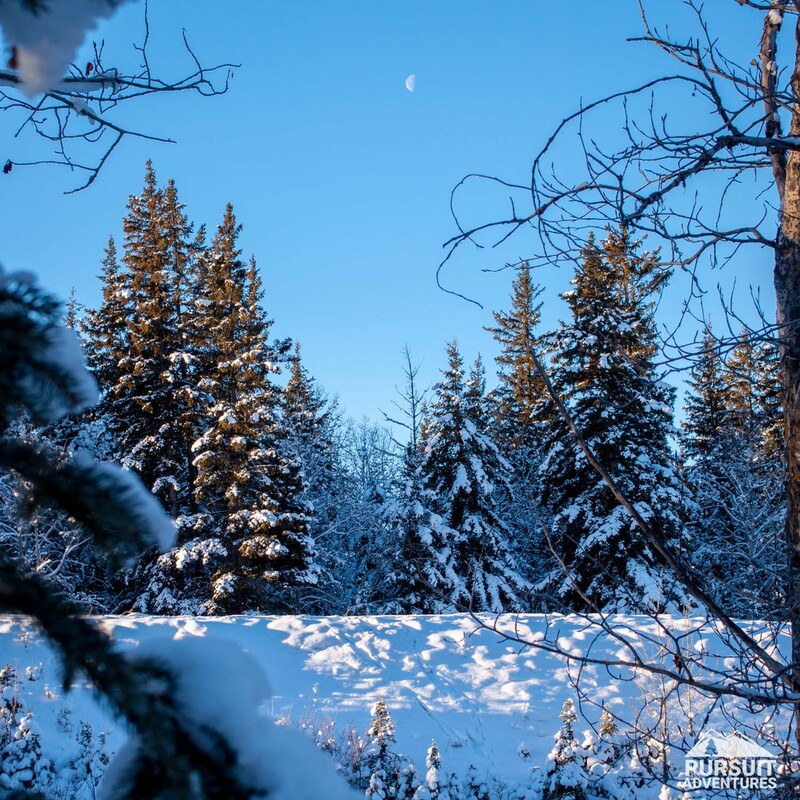 2.9 km | Meeting up with the cross country ski trail, go straight along the pond. 3.1 km | Turn right to access the field. Make your way toward the service road at the other end of the field. 3.4 km | Make your way to the multi-purpose trail and follow it up the hill, all the way back to the Westlake Grill. 4.5 km | Enjoy breakfast at the Westlake Grill. At the next junction, follow the trail on your right heading straight down the hill. Shortly after merging with another trail, the trail appears to take a sharp right. This trail heads toward the bridge over the Red Deer River and Great Chief Park. Go straight instead, walking into a small open area where you will see a trail heading into a cutline on your left. Follow this path toward the picnic area. The path comes out at the cross country ski trail. 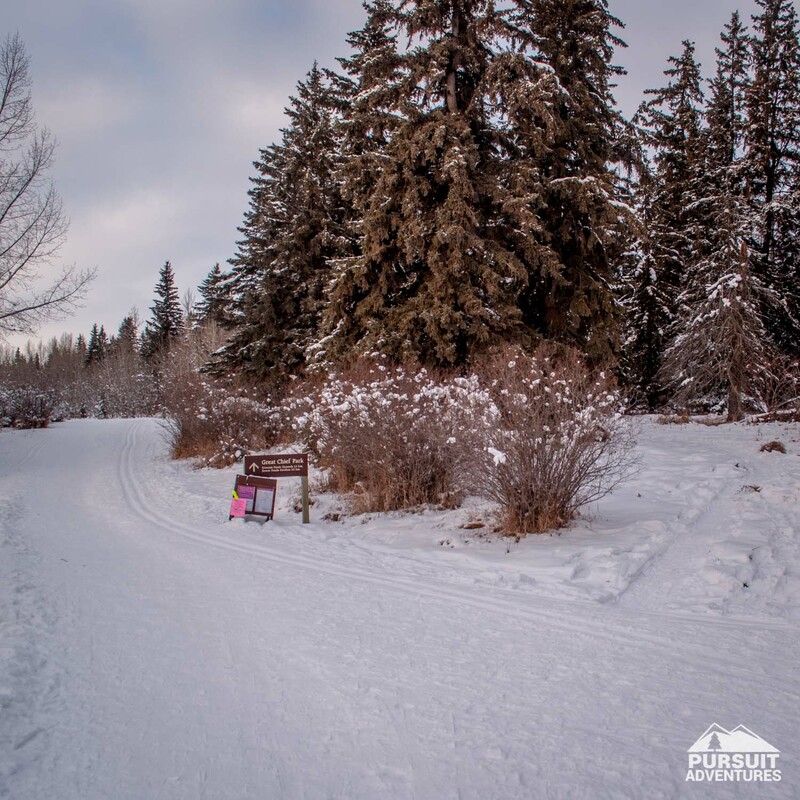 Follow the trail on your right, being careful not to damage the groomed tracks, and turn left where the cross country ski trails intersect. At the top of the hill, follow the path to the boat launch and a great spot to watch the sunrise. From the boat launch, follow the trail into the forest on your right. The trail takes you along the river where the morning light is at its best. Continue past the bridge until you reach another river access. The steeper river banks here make for more great photo opportunities. From there, walk around the pond onto the carriage road.  Go left, past an older outhouse and take the trail into the forest on your right. A nice quiet option in the morning, the trail leads you back to the fishing pond. From there, follow the trail to the field and head across toward the service road. At the edge of the field reconnect with the multi-purpose path to head back to the upper grounds, making your way back to the Westlake Grill for a well deserved breakfast.